Curly girls and those with moisture hungry hair can use this anhydrous hair cream as a pre-wash, post-wash or overnight treatment or any time your tresses need a pick-me-up. 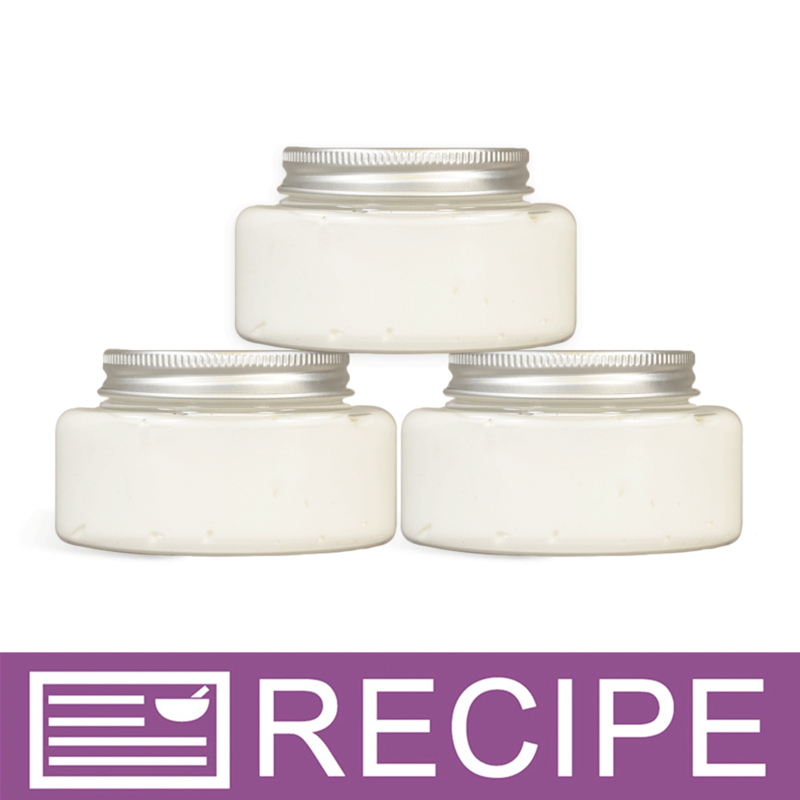 This combination of oils and butters have been chosen to create a light, non-greasy feeling product that decreases tangles and increases shine. To metal pot, add tucuma butter, babassu oil, MCT oil and golden jojoba oil. Heat over low heat until completely melted. Remove from stove top. Add argan butter, botanical extract and fragrance oil and stir. Place in refrigerator until mixture starts to harden. Remove and scrape sides and bottom of pan. Whip mixture for 3-5 minutes with whisk, beater or paddle attachment. The butters will increase in volume. Fill each jar to 1.85 oz. by weight and apply lids. To Use: Apply a dab to wet or dry hair or use as an overnight treatment. 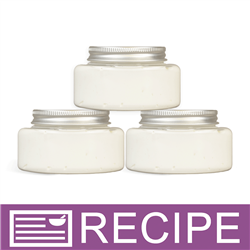 Ingredient Label: Tucuma Butter, Babassu Oil, Medium Chain Triglycerides, Jojoba Oil, Sunflower Oil, Calendula Extract, Sunflower Extract, Aloe Extract, Irish Moss Extract, Marshmallow Extract, Fragrance. "what is the best preservatives you recommend using for this product?" Staff Answer A preservative is not necessary for this product. Since it does not contain water nor is used in the shower, a preservative is not necessary. This is used either on wet or dry hair or as an overnight treatment. "I forgot to order Argan butter blend, what can I use instead?" Staff Answer You can try any soft butter as a substitute for the argan. "Can this be used as a leave in conditioner?" Staff Answer We list this as a pre-wash, post-wash or overnight treatment but we feel this can be used as a leave-in product. As always, it is best to test on your individual hair. Sorry, I am new to your website. Do you have a leave in conditioner recipe that I might have overlooked? Staff Answer We do not have a leave-in conditioner recipe at this time. "After cooling the batch down and hardening in the fridge, I've whipped for over 20 minutes and nothing happened. Wanting to know if the recipe ingredients and measurements are correct for this product recipe." Staff Answer The recipe measurements are correct. You may need to harden the mixture longer. Also, try a different mixer attachment if the one you are using is not whipping enough. "Can the Jojoba oil golden be replaced in this recipe? Thank you"
Staff Answer These oils and butters were chosen to create a light, non-greasy feel to this product. If replacing the jojoba oil, we recommend looking for another non-greasy or dry oil for this recipe.